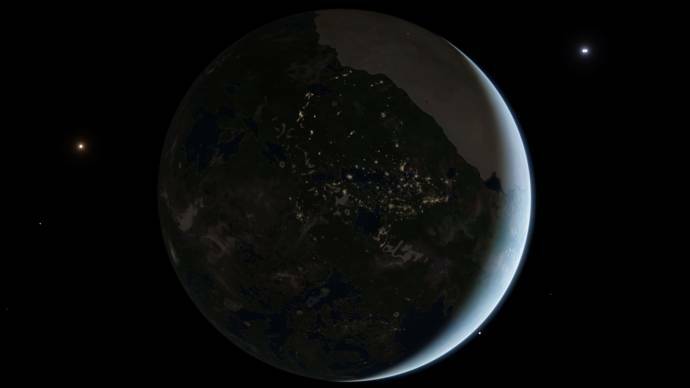 Ever wanted to add city lights to your planets but can't deal with exporting all the textures? Here's my solution. 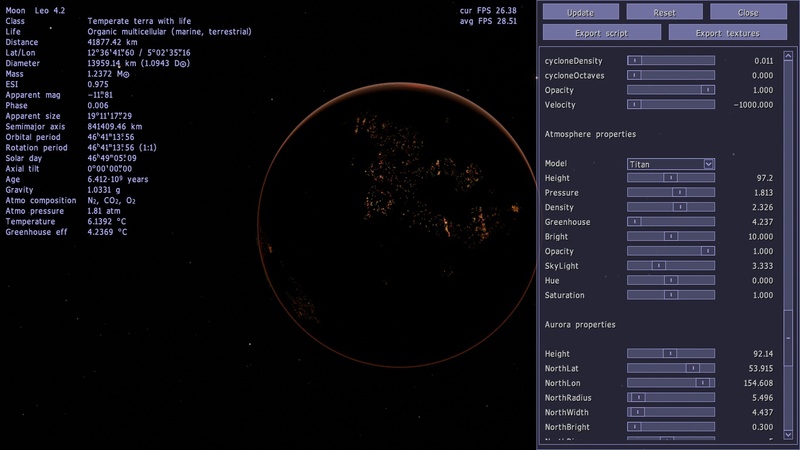 1) Open your planet system's file and open the file. // these values are randomized! Also, performance drops, small range of colors (red->white->blue), so this isn't a great option, but I found it cool. 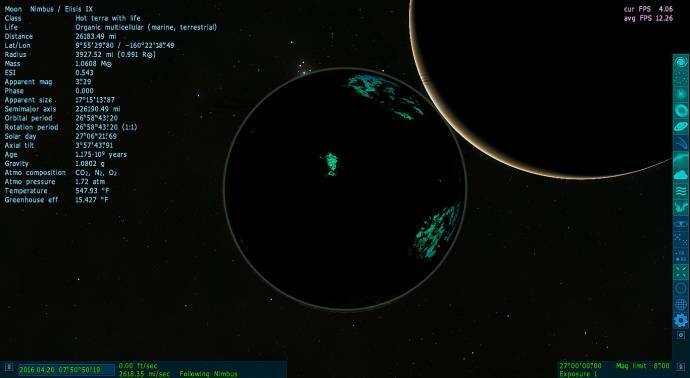 Is there any way to make it so that the lights distribution doesn't show as giant rings circling across the whole planet, like in the first screenshot? PlutonianEmpire, I don't think so. 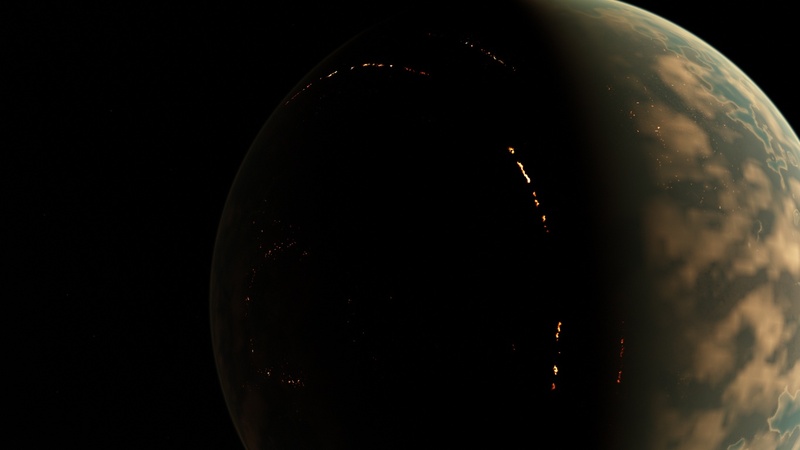 Although, I kinda like the ringed lights around the planet. It makes it seem like an advanced intelligence. But I don't know, that's my opinion. 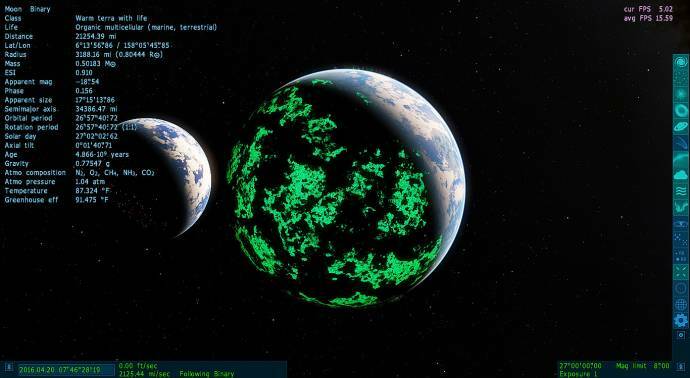 Well it would work for planets like Coruscant from Star Wars. 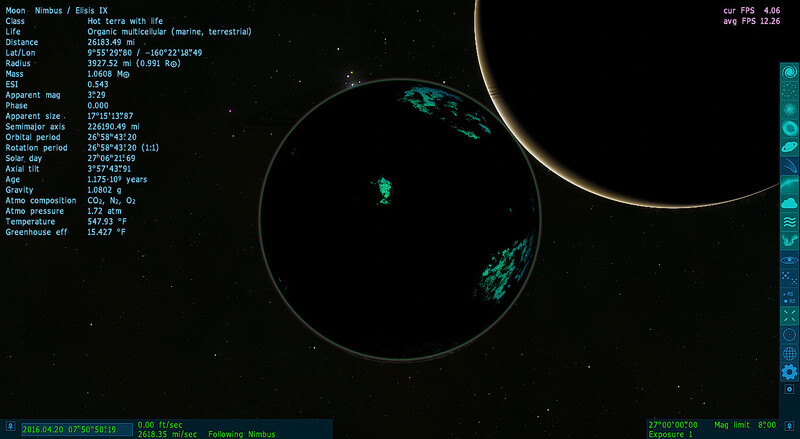 Also, I noticed something cool; if you add GlowMode "Night" to the procedural surface parameters, it actually makes it look like bioluminescence! 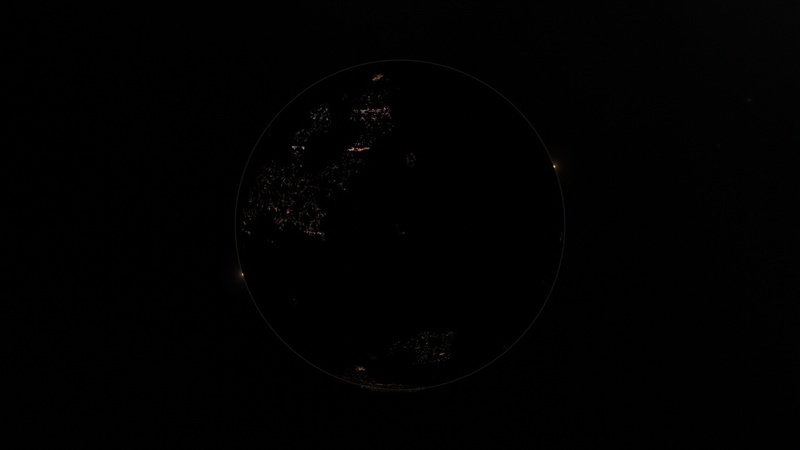 // City lights map author: Sean Young "HarbingerDawn"
Here I use the night lights of the earth. Not quite suitable to my planet, but they show what I mean. I found a way to change the colors (a bit)! then the lights become pink! 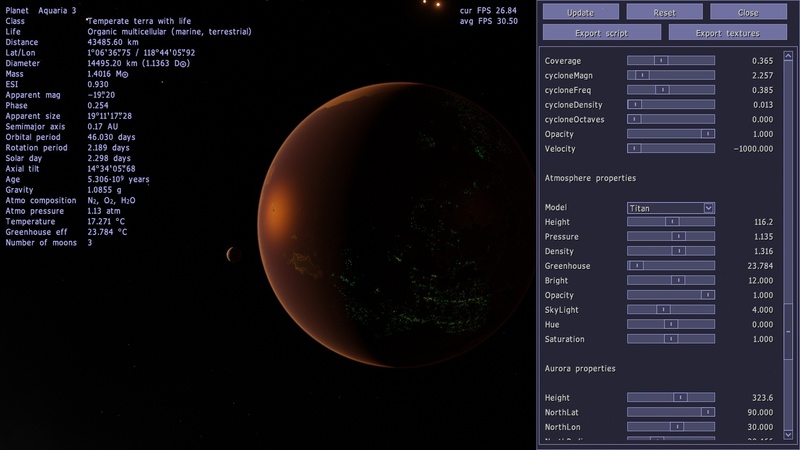 Also, I found out that different atmosphere models ("Titan" is more noticeable) or classes of stars also change the colors of the stars. 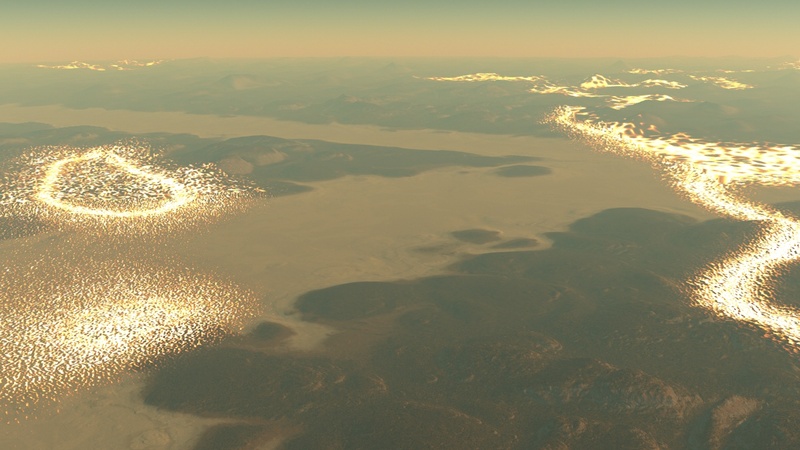 To answer this question, I also figured out that editing these values can remove the ringed look. You can also use GlowColor variable alongside temperature variable. I've tried that, but it only works on non-procedural surfaces. Can confirm, I've tried as well with no luck. 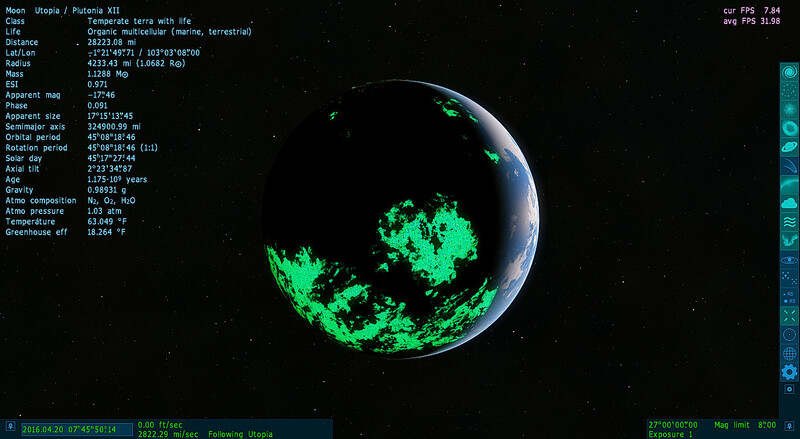 Its working on my Star Trek planets just fine and they are procedural. Are you able to get it to work on moons as well? 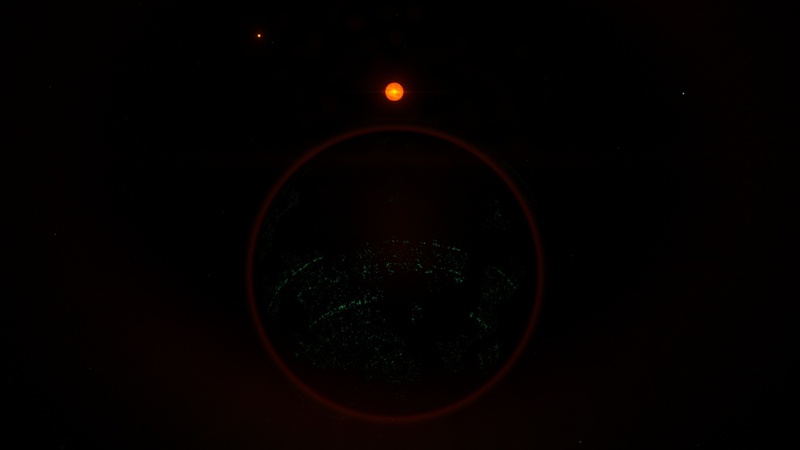 I've tried your code on three different moons and they all came out completely green on the nightside. 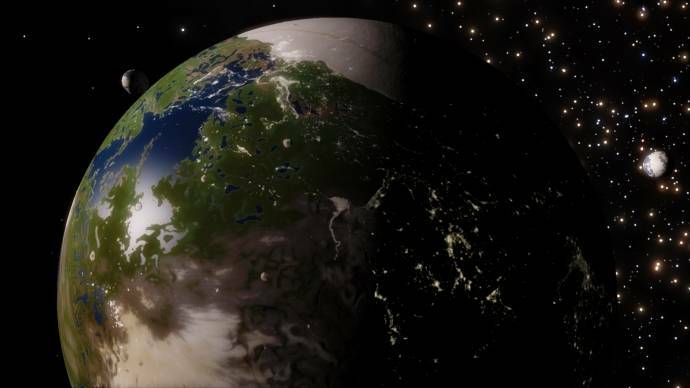 So, now I'm surprised how much inhabited the icecap of my main world An'Cheadhain is. Presumably there is drilled for oil, and searched for other natural resources. And I really wanted an ecologically correct world! Are you able to get it to work on moons as well? It works on all worlds as far as I can tell. Is that from the Irish language? It looks very like it. Interesting. It may be my Intel HD card acting goofy again. 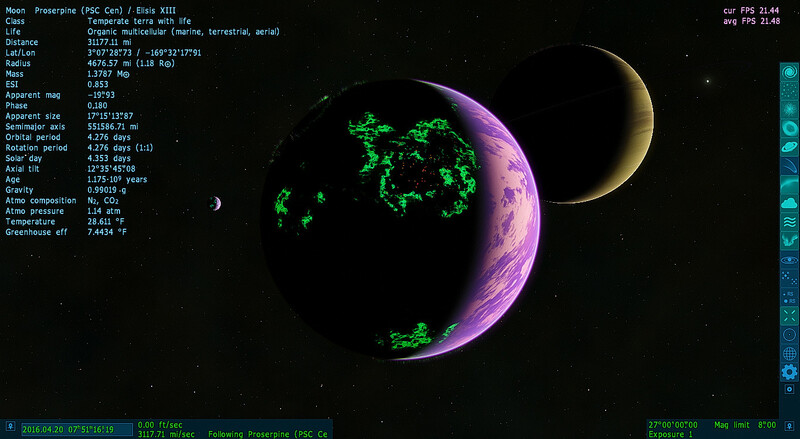 Here's my log files and planet scripts. 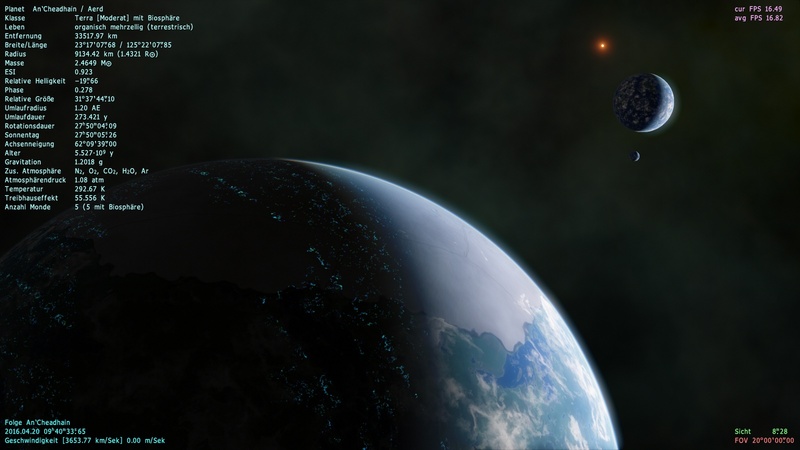 I'm using RC 2.